New Delhi: India’s largest property developer, DLF Ltd, has filed an appeal in the Competition Appellate Tribunal, seeking a review of an antitrust regulator order that imposed a ₹ 630 crore penalty for abusing its dominant market position. The appeal, filed on Monday, will be heard by the tribunal on 9 November, according to a senior DLF executive, who declined to be named. He declined to provide further details. In the 375-page appeal, a copy of which has been reviewed by Mint, DLF has challenged the way the antitrust body has defined the relevant home developers’ market, DLF’s dominant position in this market and therefore abuse of its dominant position. The Competition Commission’s order had said that DLF is a dominant player in Gurgaon. “Various properties which are substitutable, as also the secondary resale markets have to be considered for arriving at relevant market, which has not been done by CCI," the petition said. Market share cannot be determined on the basis of all India sales figures, as given by the annual accounts of the respective companies, for arriving at DLF’s market share in Gurgaon, especially when a large number of companies have entered the Gurgaon market in the last few years, it further said. In its August order, the antitrust regulator had said that the abuse of dominant position in this case is in respect of the basic necessity of housing. 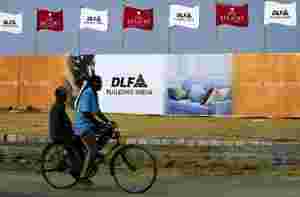 “The earlier deliberation on the elements and extent of abuse make it clear that DLF has been grossly abusing its dominant position, and that too against a vulnerable section of consumers, who have little ability to act or organize against such abuse," the order said. The order was signed by all four Competition Commission members and acting chairperson H.C. Gupta. “DLF has the right to appeal to Competition Appellate Tribunal. In fact, the competition law permits either of the parties to move the Supreme Court in case one is not satisfied with the Compat’s order. In which case, CCI can also appeal the Supreme Court," said an antitrust official, who declined to be identified. The relevant market is the moot issue that will decide the fate of the case at the appeals tribunal, according to M.M. Sharma, head of competition law practice at Vaish Associates Advocates. “The second thing is the amount of penalty which is arbitrary and has no linkage to the amount of damage caused to the consumers," said Sharma. The competition regulator had started investigating the case based on a complaint filed by Belaire Owners’ Association in May 2008. DLF Belaire and DLF Park Place are expected to have 2,142 apartments collectively. Apartments in these projects are priced at between ₹ 1.5 crore and ₹ 3 crore and are likely to be delivered this year against the original deadline of end-2009. Meanwhile, the resident welfare associations of the two projects are working on a compensation package, which according to a person close to the move, is likely to be presented to the appeals tribunal in the next 10 days.